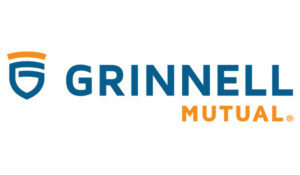 For over 100 years, Grinnell Mutual has been a trusted source of quality insurance. We offer auto, home, farm, and business insurance to cover whatever you need to protect. Having neighbors you can rely on is invaluable. We work with 250 local mutuals and more than 1,700 local independent agencies in Illinois, Indiana, Iowa, Minnesota, Missouri, Montana, Nebraska, New York, North Dakota, Ohio, Oklahoma, Pennsylvania, South Dakota, and Wisconsin. And we know that where you live and work matters, which is why we give back to the communities you call home. We are an industry leader. Grinnell Mutual is the largest primary reinsurer of farm mutual companies in North America because integrity and trust are our core values. That’s good business. Since 1976, Grinnell Mutual has been rated A (Excellent) or higher by A.M. Best Company. We’re also one of 10 Iowa companies to earn a Top Workplace award every year since the honor was created in 2010. It’s a reflection of Grinnell Mutual’s commitment to our most valuable asset — our employees. We believe in our people. We are focused on tomorrow. Everything we do serves a single purpose — to keep our promise to take care of our customers, agents, mutuals, and employees, whatever tomorrow may bring. That’s why we invest in ideas that will keep us competitive and moving into the future. Through our work with the Global Insurance Accelerator (GIA), we will continue to innovate, develop, and evolve. Our success depends upon talented people who believe in honoring relationships inside and outside of corporate walls. Choosing a career with Grinnell Mutual means choosing a work-life balance that’s unsurpassed in our industry. We go beyond a stellar benefits package because we believe in our team’s quality of life — on and off the clock.